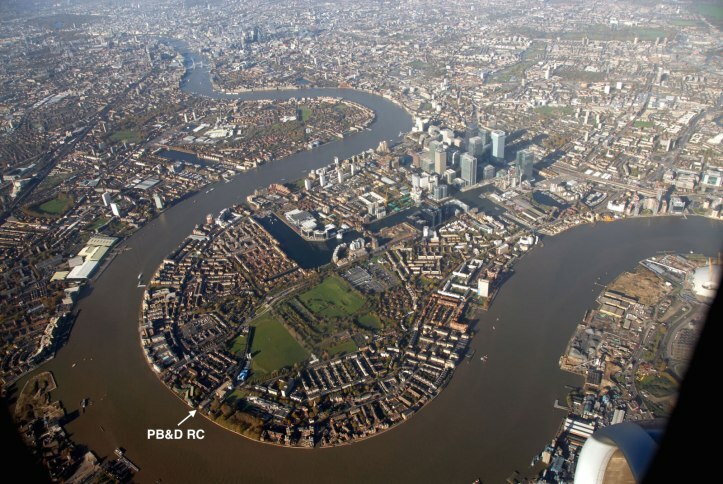 The so-called ‘Isle of Dogs’ in East London is bounded on three sides by one of the largest meanders in the River Thames. It was originally sparsely inhabited marshland, but docks were built during the 19th century and, by 1900, more than 20,000 people lived there, largely dependent on trades generated by the river. The docks declined in the 1970s and were gone by 1980. Most existing British rowing clubs of any age were originally ‘amateur’ as strictly defined by the Metropolitan (later ‘Amateur’) Rowing Association between 1879 and 1937. In that period, it was not only ‘professionals’ (i.e. those who rowed for money prizes) who were barred from competing alongside or against ‘gentlemen amateurs’, but so were ‘mechanics, artisans and labourers’ and anyone ‘engaged in any menial duty’. Next Chefchaouen, the blue pearl of north Morocco.